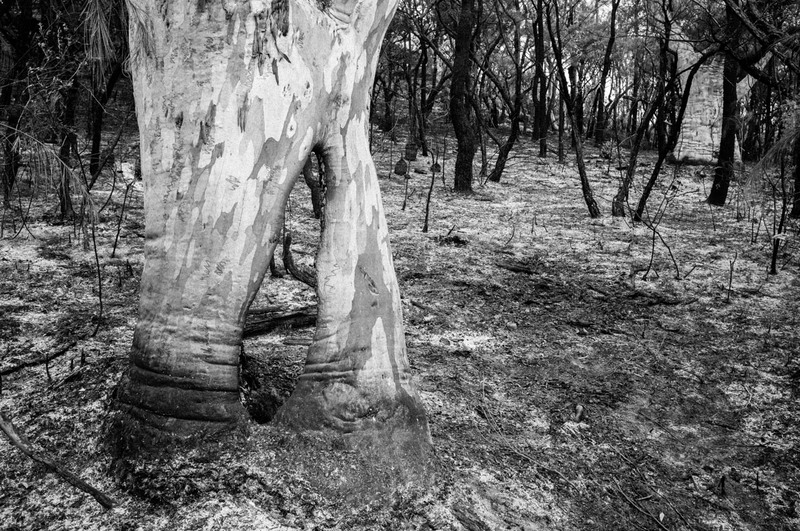 A ghostly stand of scribbly gums stand stark against a blackened, back-burnt landscape. Emerging from a gorgeous but steep creek gully, John, Garry and I arrived at the outskirts of Cowan, a small township at the outskirts of Sydney. 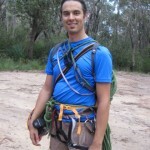 We were on Day 2 of our overnight hike from Mt Kuring-gai to Brooklyn, part of the Great North Walk. While the walk through the gully had been full of lush sclerophyll forest, a recent blackburn had left a forest of blackened trunks and ash-covered ground. Except for the striking shapes of these scribbly gums, which stood like expressionist gestures in the denuded landscape.